Up to 6 baskets with one or two doors. 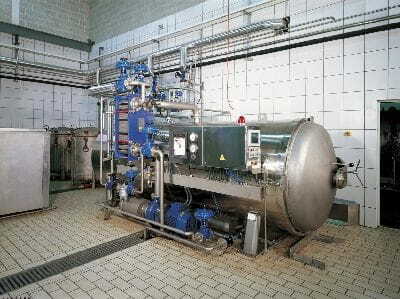 The reformed range of horizontal autoclaves, relies on a new design that makes them more functional and agile to work, giving special attention to the simplicity and to the reliability. This new range includes autoclaves up to six baskets and with one or two doors offering through the system of heating by showers, a balanced homogeneity in the whole interior whatever was the packaging used, glass, metallic or plastic, and the product to treat.